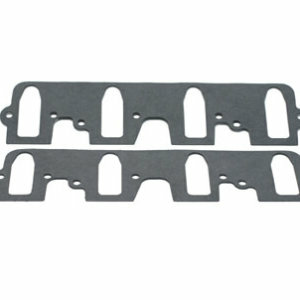 ICS Titan Head Gaskets; fits Chevrolet Gen 3-4 LS through LSX, Dart LS Next, Bill Mitchell Products Warhawk. 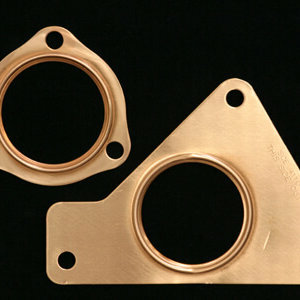 Gasket Thickness: .062″; Bore Opening: 3.950″; Material: Copper with built in coolant and combustion seals. 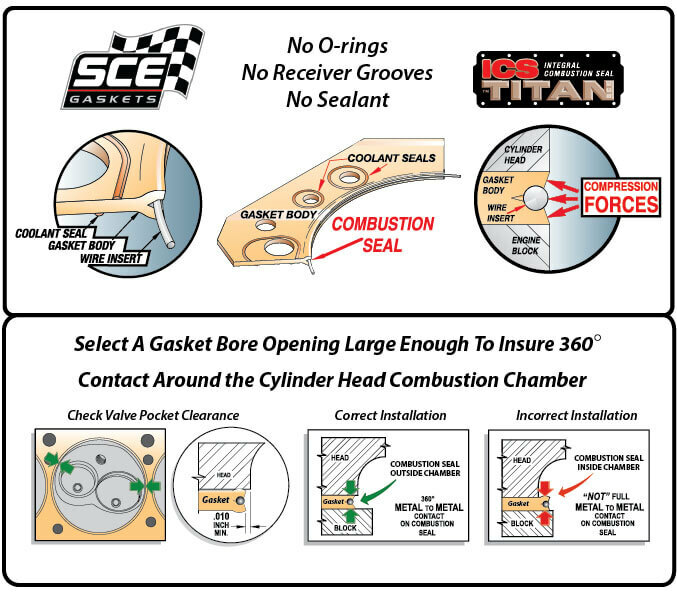 Note: We recommended using Titan or Pro Copper style head gaskets with O-rings when building high horsepower in early LS blocks due to deck surface deflection common in those engines. 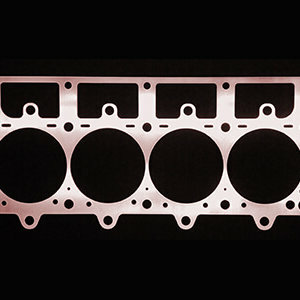 ICS style head gaskets are suitable for sealing high horsepower with 18 bolt blocks such as LSX, LS Next or Warhawk.